Georgia yard sales are serious business, with some of them stretching across several counties and one spanning multiple states. The size and reach of the sales is a point of pride; one of them bills itself as the "90-Mile Yard Sale," another claims to be the "World's Longest Yard Sale," and yet another is promoted as the "World's Widest Yard Sale." Whatever their geographic footprint, the yard sales that run through Georgia offer a plethora of hidden treasures and one-of-a-kind deals for bargain hunters willing to make the trek. If you're planning to visit Georgia for one of its epic yard sales, be advised that most take place in the spring and summer. Check the weather forecast before you head out; you'll want to prepare for rain in the spring and very hot temperatures in the summer. Dress accordingly (and make sure you have enough gas in the car). Here are some of the notable annual yard sales that run through Georgia and are going strong after years ​in existence. Every June, yard sale shoppers from all across the Peach State spend the weekend hunting for bargains at the Dixie Highway 90-Mile Sale, or as many call it, the Dixie Highway Yard Sale. It runs from Marietta all the way to Ringgold, through five Georgia counties. The Georgia Dixie Highway Association formed in 2001 and held the first 90-mile yard sale in 2006. Started in 1987 to promote back-road attractions in Kentucky and Tennessee, the Highway 127 Sale is held annually on the first Thursday in August. The sale route runs 690 miles, from Gadsden, Alabama to Addison, Michigan, with organizers claiming it is the World's Longest Yard Sale. Billed as the "World's Widest Yard Sale," the Historic U.S. 80 Hi-Way Sale is held the third weekends in April and October every year since 1990. The sale route runs through Texas, Louisiana, Mississippi, Alabama, and Georgia. Like many of the other multi-state yard sales, the 80 Hi-Way sale was founded with the intention of highlighting the cultural offerings of the communities along a historic road. Hunt for yard sale finds and enjoy gorgeous fall foliage at the Hwy 411 Yard Sale, which stretches from Leeds, Alabama to Knoxville, Tennessee. The trip will take you through the Smoky Mountains during the autumn when the region could not be more picturesque. Held annually at the end of September to the beginning of October, the Hwy 411 Yard Sale spans three states and more than 250 miles. Explore Appalachia's back roads while you shop the U.S. 11 Antique Alley & Yard Sale. 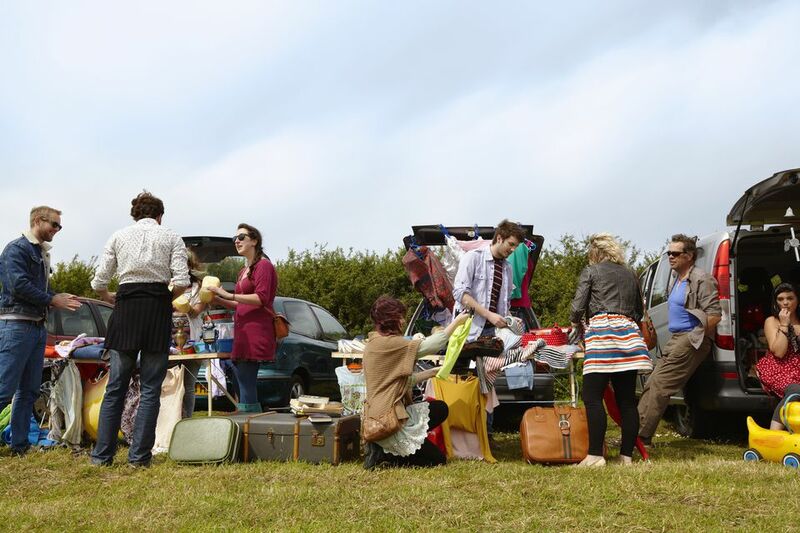 Started in 1997, the annual highway yard sale event takes place each May. It runs along more than 500 miles of U.S. Highway 11, one of the country's oldest roads. Participating states include Mississippi, Alabama, Georgia, Tennessee, and Virginia.